Whale shark in El Nido, Philippines! This is what happens when we go scuba diving, that we never know what we will spot. Yesterday it was a great day for Aquanaut boat as at the surface interval between dives we could enjoy the presence of a whale shark. Between the second and third dive of the day, after having the delicious lunch that we always serve on board we saw a big shadow moving around the mooring line in Entalula Island, one of the jewels of the Bacuit Bay where we always go diving. Some of the divers jump in the water with the mask, snorkel and fins and when they got closer they started to shout out loud with enthusiasm : whale shark! whale shark! 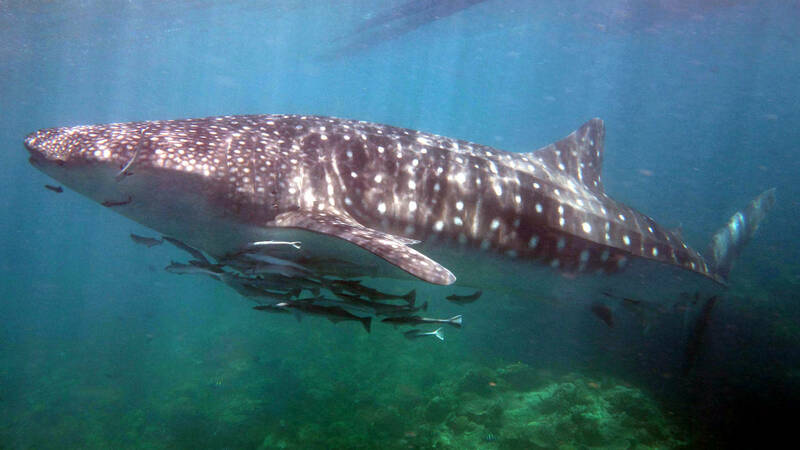 The whale shark was swimming within the surface and three meters. Its size was approximately of 6 meters long. That day on the boat we had PADI courses and also some people diving for the first time doing the Discover Scuba Diving program. 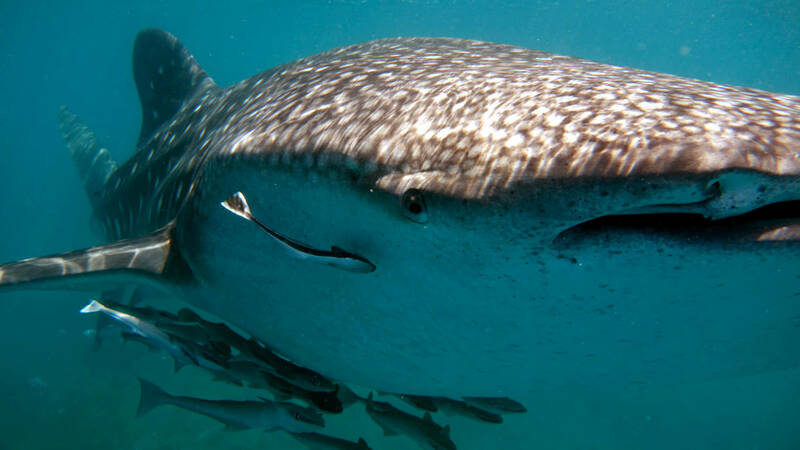 Can you imagine seeing a whale shark for the first time in your life? Everybody from all kind of scuba diving level and also almost all the staff of Aquanaut, jump into the water and swam with the whale shark for about forty minutes. We were lucky that day as Rosi, professional photographer of Fisheye Underwater Productions was with us on the boat to take pictures of the students, so she could took this fantastic photo shoots of the whale shark. Also one thousand million thanks to Jack for his GoPro video.